What diminutive Rhode Island gives away in size, it more than makes up for in food culture. The state known fondly as “The Ocean State” boasts a long coastline of bays and inlets. That’s good news for seafood lovers who like their meals freshly pulled from the ocean. 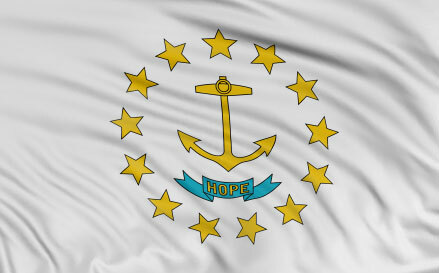 The state is densely populated and is known for some inventive culinary hotspots, most notably Providence and Newport. Rhode Island’s early fishing culture is still what defines the characteristic east coast vibe in the state, so lots of food traditions relate to the storied seafaring past. A key part of any culinary education is personal exposure to the local and regional food scene. Visits to the best local restaurants paint a picture of traditions and emerging trends that are the hallmarks of your culinary surroundings. It is good advice to learn about the most talked about local chefs, meet them if you can, and get a sense of what their best dishes are comprised of. Learn what seasonal ingredients are standouts and note the nuances of flavor unique to each area. Familiarity with the local cuisine certainly gives you a leg-up when seeking work in the area, but it also opens your culinary mind in a way that stays with you forever. Rhode Island is a coastal state, so seafood is the order of the day, especially shellfish. Clams are featured on Rhode Island menus in several ways. The famed New England style clam chowder makes use of the abundant ingredient, but simple preparations like steamed clams are a great way to absorb the freshness of the ocean’s bounty. Clam cakes are fried dough and chopped-clam delights that are uniquely Rhode Island, and the famous clam preparation called clams Casino references the Rhode Island restaurant that was its birthplace. Snail salad is an unusual Rhode Island signature dish that tosses snails with onion, celery and citrus. The scungilli, or snails, are not as commonplace today, but several Rhode Island restaurants prominently feature the item. The Italian snail preparation is often featured alongside another seafood dish of fried calamari (squid). Food fun is present even in the catchy food nicknames for Rhode Island specialties. ‘Gaggers’ are basically small hot dogs served in chili-dog fashion with meat sauce and spices. ‘Grinders’ are smaller than average submarine sandwiches made with cold cuts and oil and vinegar. And ‘stuffies’ are Quahog clams that have been minced and returned to their shells to be baked with stuffing and herbs. Consider membership in a local chapter of a leading food service industry association like the American Culinary Federation’s Rhode Island Chapter (Providence). Organizations like this offer networking opportunities, access to private job listings, admission to regional and national conferences and educational events. Associations provide an opportunity to meet, socialize, and collaborate with peers, colleagues and other like-minded industry pros all looking to improve their careers with healthy social connections. Salaries for Rhode Island chefs vary. Average for sous chef in the Providence-Newport area is $44,000. Factors that can drive earnings up or down include: your professional experience, level of education, location, type of establishment, and even your professional reputation. Regardless of income expected, many chefs choose to do a stint in a coastal state like Rhode Island as a feather in their cap and to master unique seaside cuisine. Cost of living should also be considered when gauging salary expectations. Rhode Island chef jobs pay well, but the cost of living is also a bit higher than other states. Johnson and Wales University – Originally started as a business school, this college has become one of the most important educators for culinary professionals. The Providence campus is the school’s headquarters, but they also have campuses in Miami, Denver, and Charlotte. The school has four distinct colleges of business, culinary arts, hospitality, and letters and sciences. Since adding the culinary arts program in 1973, Johnson and Wales has become famous for educating chefs and other hospitality workers. By emphasizing business and other aspects of the hospitality industry, Johnson and Wales offers a comprehensive education that is great for restaurant entrepreneurs. The school has graduated a handful of notable chefs including the Food Network’s Tyler Florence and Aaron Sanchez. The American Universities Admissions Program ranked Johnson and Wales as the third best culinary school in the world in 2010, and the two and four-year degrees dispensed by the school make it the largest educator of food service workers worldwide. Students can choose between one-of-a-kind four-year culinary and restaurant management degrees and shorter Associate’s degrees. JWU emphasizes both kitchen skills and business skills that produce good managers, as well as chefs. The school has issued honorary degrees to a handful of notable chefs, including Emeril Lagasse. Johnson and Wales programs of study include: Bachelors Baking and Pastry, Bachelors Baking and Pastry/Food Service Management, Bachelors Culinary Nutrition, Bachelors Culinary Arts/Food Service Management, Bachelors Food Service Entrepreneurship, Bachelors Food Marketing, Associates Culinary Arts, and Associates Baking and Pastry Arts. University of Rhode Island – Kingston offers a nutrition and food sciences degree program. Lincoln Culinary Institute – Located in nearby CT, this college provides comprehensive culinary and international pastry and bakery programs.